I just finished up my plans for the first week of school and I thought I’d share what I am doing with my own kids! If it is your first time to my blog, welcome! I am a third grade teacher in Florida! One of the things I want to commit to this school year is sharing a few things I’m doing with my thirds each week! These are my actual lesson plans for the first week of school. This is my 23rd year of teaching. My eighth teaching third grade. 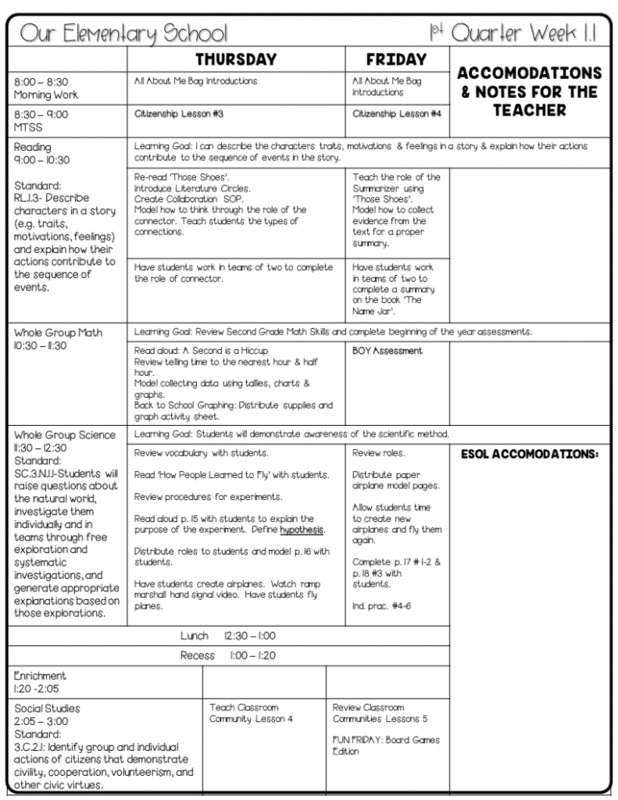 When you are looking at lesson plans, remember that they are reflective of your own personal learning and connectivity to your content. 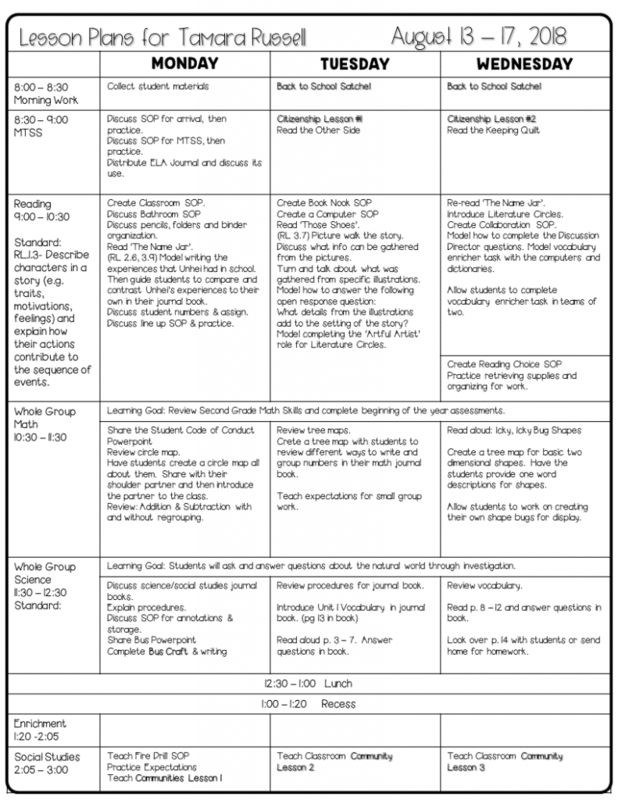 I do not sell my lesson plans, but I do offer the template HERE on powerpoint for free. The reason why I choose not to share them for sale is that you learn more when you assimilate your own plans based on your own learning. Feel free to borrow any ideas that you see on my blog. Some things are going to be free downlo ads from my site, but others will be direct links to where you can purchase the digital file. 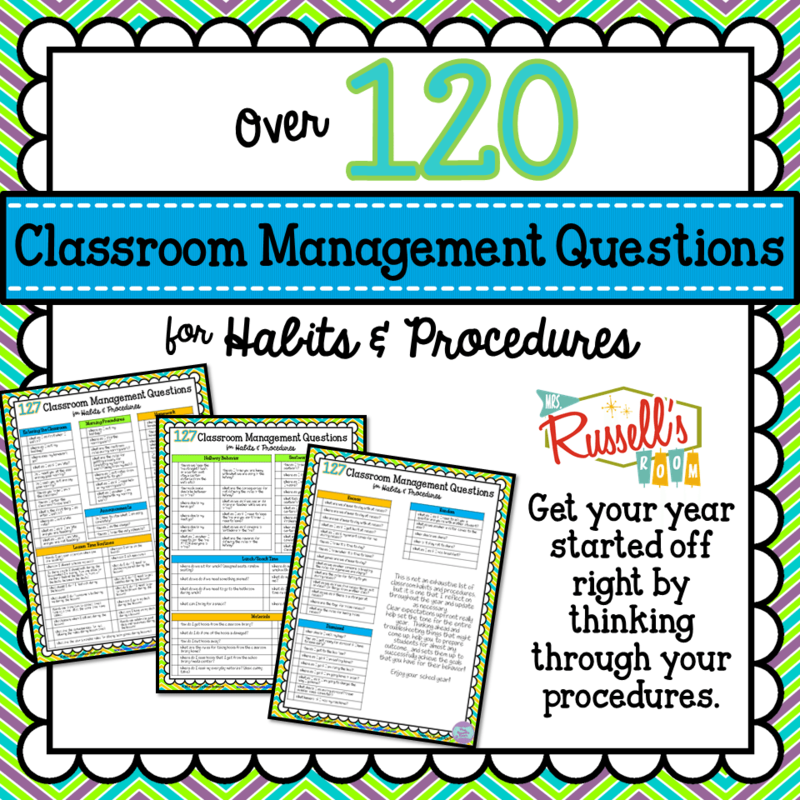 The first thing I do is review these classroom management questions. 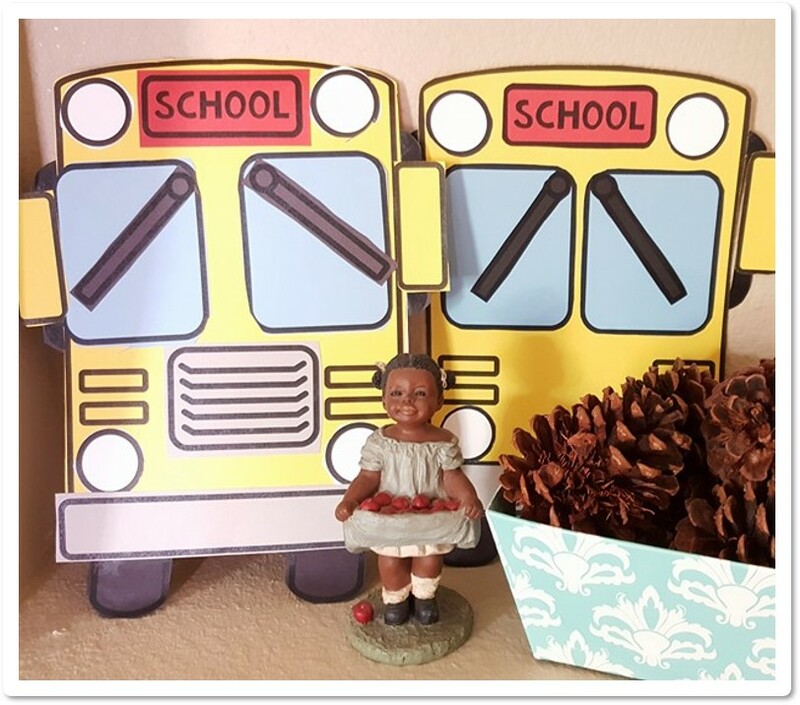 They are not exhaustive by any means, but they are a good start for teachers that are new to the classroom, or new to a school, or even new to a grade level. Once I have my procedures set up, I work on creating a community WITH my learners. We do that by creating class rules together. These rules are called SOP’s or standard operating procedures. You can see how I develop those in this post HERE. In the first week, I make sure that I read a TON. I usually read things that I have really connected to. This is a great opportunity for me to model talking about literature and discussing the roles students will take on as part of our literature circles later in the month. They love to show their parents things that they made and what they’ve learned–even in third! Then: Have fun getting to know each other! We do a couple of fun games and crafts in the first week! I have a paper bag craft that I do throughout the week for morning work. On the inside, the kids will put info about them and their new friends from the class. 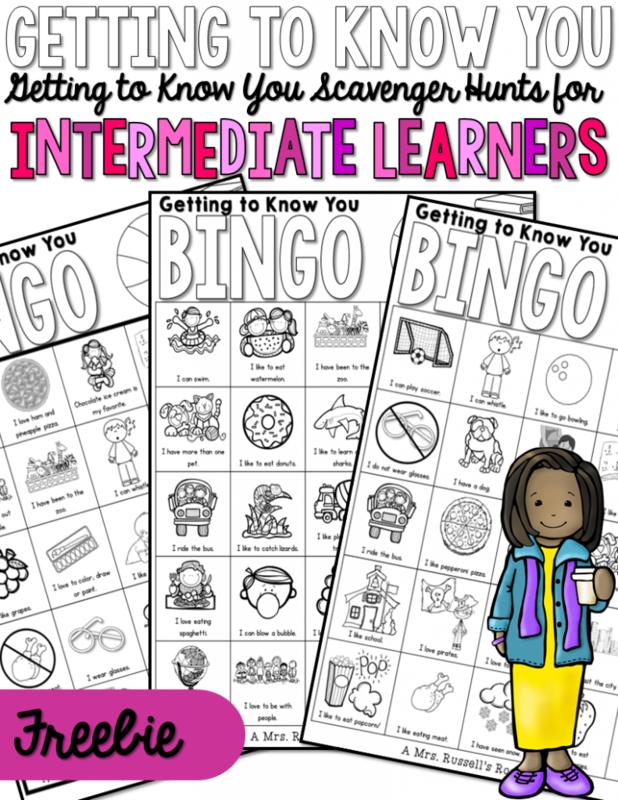 If you are looking for a more hands on way for students to connect, you might enjoy this Getting To Know You Scavenger’s Hunt for back to school! It is a great way to engage your emerging bilingual students, and your English speakers at the same time. I have a blog post on how I use these with the kids. Click HERE to download them for free. about the differences between busing today and busing years ago. 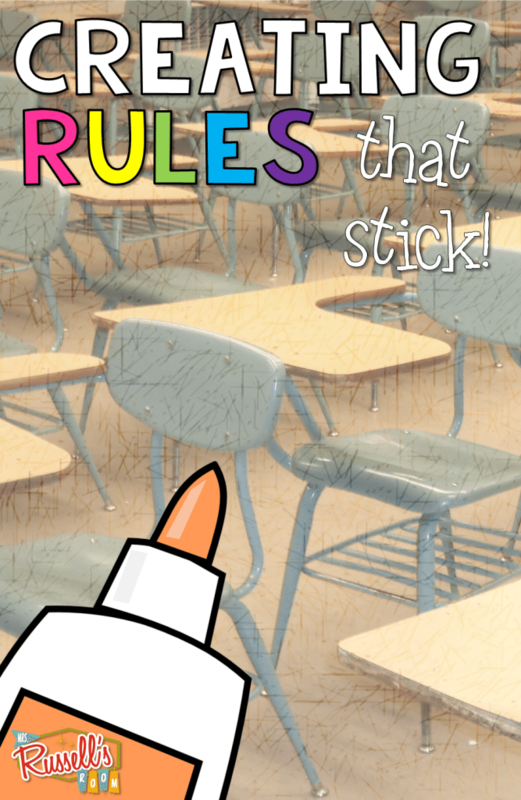 Other times, I do this just to have them write about rules for the bus. They can also write me just a narrative about what riding the bus is like for THEM. There are many different ways to approach using this craft along with learning in the classroom. 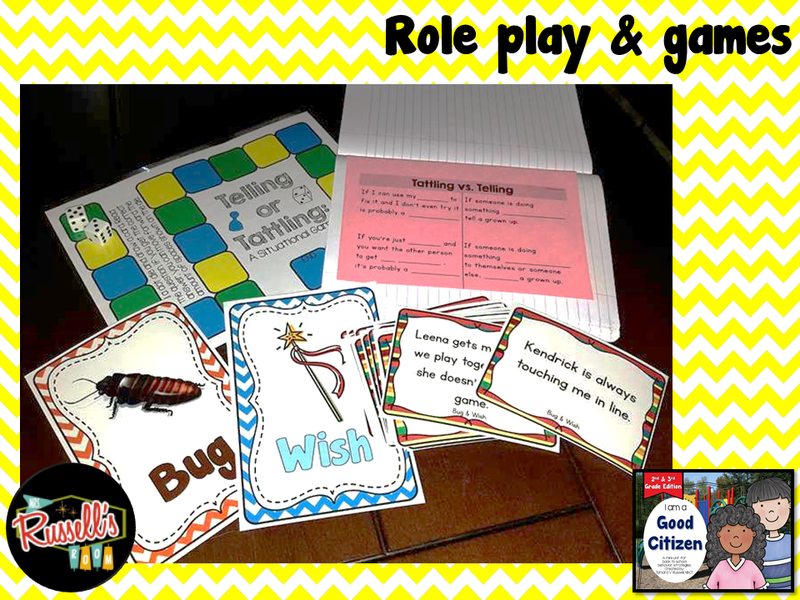 The other activities I do relate to classroom expectations and citizenship. We talk about how to resolve conflicts, how to get our needs met, and also how to advocate for ourselves. One of the ways in which I begin to develop that is my Citizenship Unit. I initially made one for first graders. It has really resonated over the years. Now, I have one for seconds and thirds, too! 🙂 A fuller preview is on TPT if you’d like to see that! Hope you’ve enjoyed looking at some of what my first week includes! Happy planning, folks!